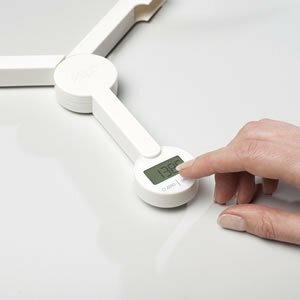 TriScale is a compact folding digital scale. This unique digital scale brings a whole new meaning to the concept of space-saving kitchen gadgets. 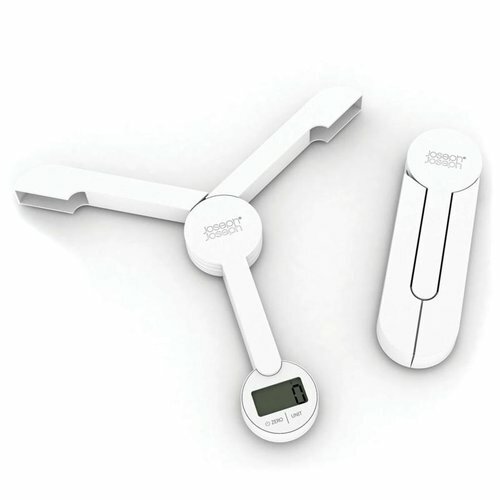 When open, its three arms provide a stable platform on which to place bowls and other items for weighing. 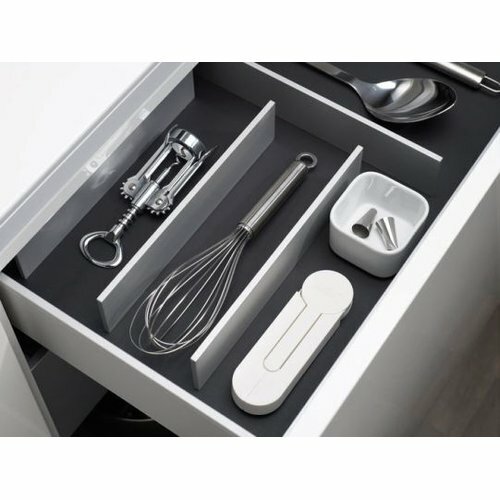 When closed, the unit folds down to an extremely compact size, enclosing and protecting the screen and controls, which makes it perfect for storing in a kitchen drawer. It has an easy-to-read LCD display, touch-sensitive controls and an auto power-off feature. 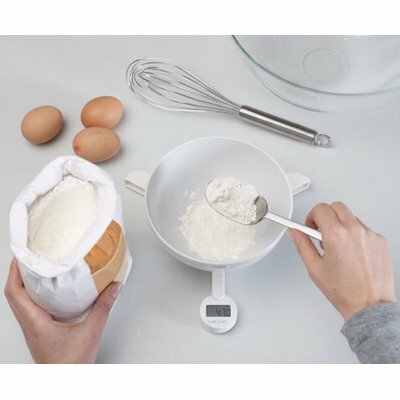 A convenient Add & Weigh function also allows multiple ingredients to be measured in the same bowl during recipe preparation. The scale weighs/measures in the following units: gms, lbs, ozs, fl.ozs and mls. Maximum capacity: 5kg/176.4 fl.oz/11lb/5000ml. Wipe clean with a damp cloth.